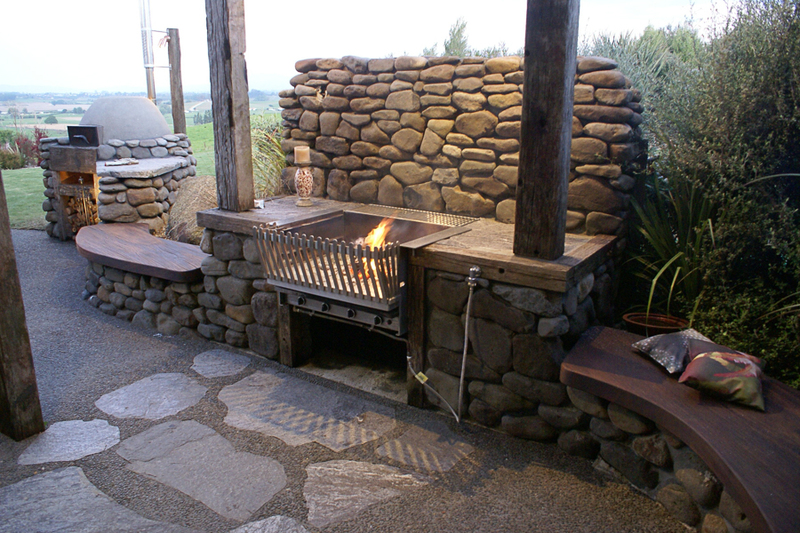 This project started from a bare paddock on a heritage farm near Mt Kakapuku in the Waikato. 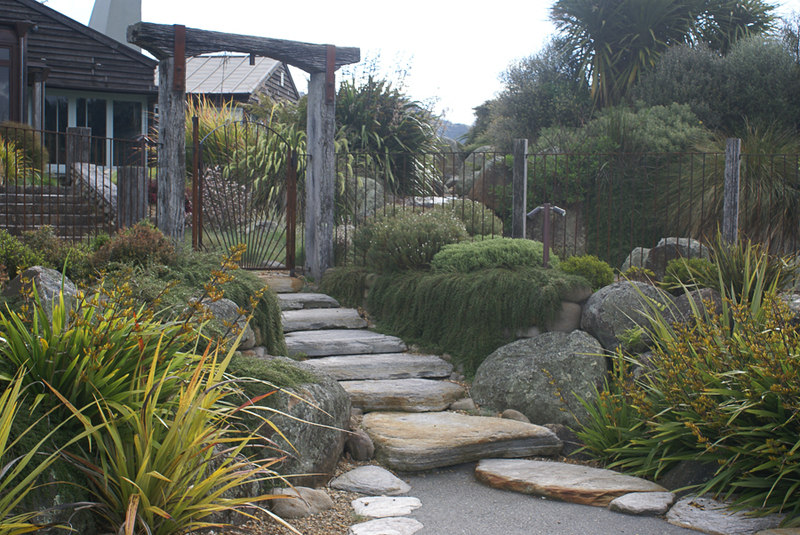 Earthworks and rock placing began well before house construction. 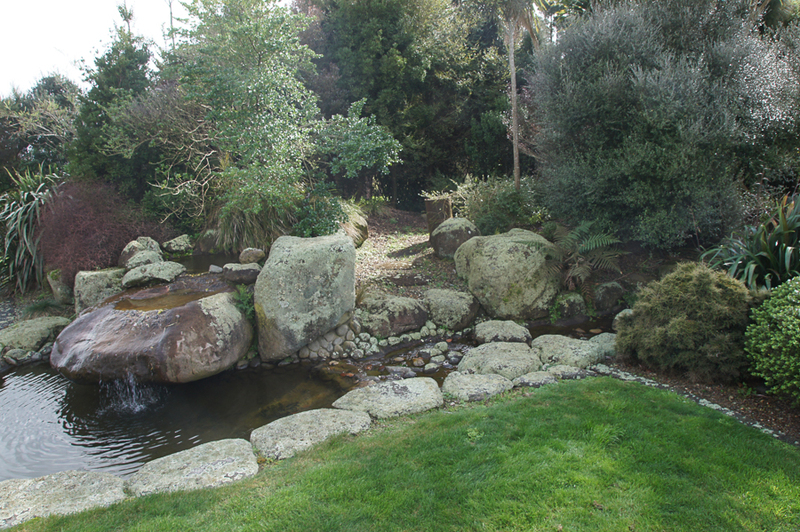 The design was evolved around the architectural building plans and involved hundreds of massive feature rocks sourced off the nearby mountain, riverstone walling, an extensive natural style stream, waterfall, pond and swimming pool and is planted in almost totally natives. This is a unique project for us in that we have been involved progressively from innovation through to various ongoing developments with maintenance and upgrading still happening almost 18 years later. 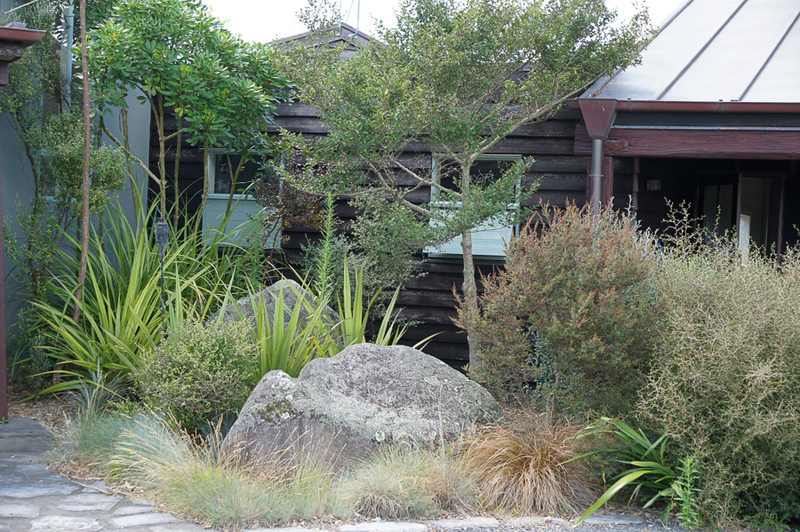 The clients brief was to create a water feature and enclosed courtyard that would create a “Balinese” theme to showcase artefacts collected in their travels. 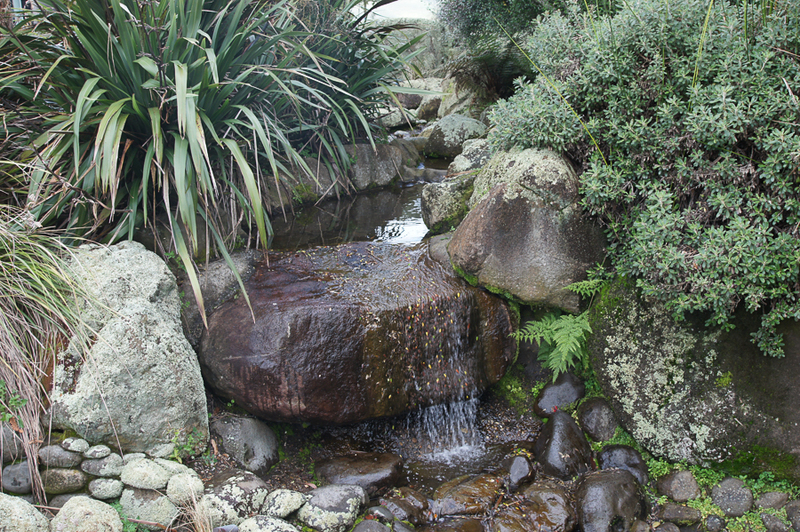 It all started with erosion control and beautification of the stream, this was followed by a series of pathways, stairways, viewing platforms, pizza oven & entertainment space and we build their dream natural style swimming pool.